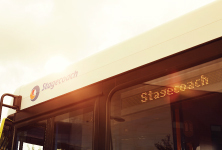 Young people across the UK are able to benefit from lower bus fares after Stagecoach extended their under 19 £2 national offer. Major investment in bus services as part of the relocation of operations to a new base in Cumbernauld. 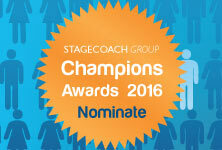 Stagecoach Group has launched its 2016 Champions Awards for employees – and is inviting bus and coach passengers in West Scotland to nominate their favourite member of staff.